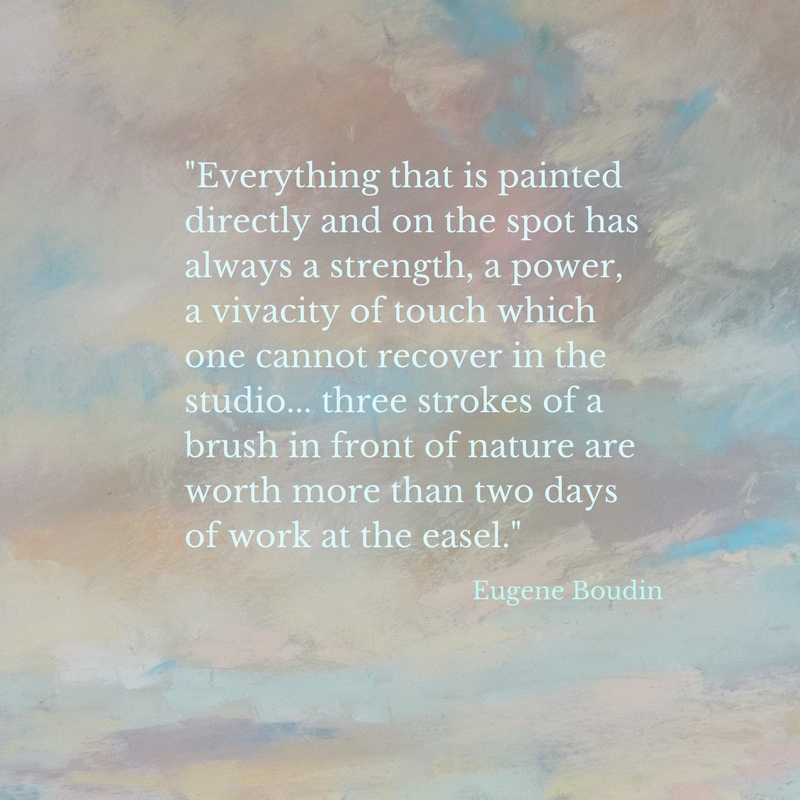 This quote from Eugene Boudin says it all. Painting outdoors from life makes a difference. Your results may not be the paintings you imagine they should be or what you want them to be. But if you persevere and spend some time painting outdoors you will have gained valuable information. Information that cannot be found from looking at a photo. Plein air is important but it doesn't have to be the only way to paint. I am not a die hard plein air painter. I do believe one can make beautiful and strong paintings from photos but only when one understands the limitations of the photos. Plein air practice gives you this needed insight. Here are a couple of things you can do that will give you the benefit of plein air painting if you can't get outside. Paint with your mind. Overtime you go outside slow down and spend a few minutes carefully observing something around you. Try to describe it using art words.....color, value, light, edges, etc. Try to imagine how you might paint it. Paint from the window. Sometimes conditions don't allow for painting outside. Look out the window and paint what you see. If you don't have an interesting view then paint the sky which is always changing.